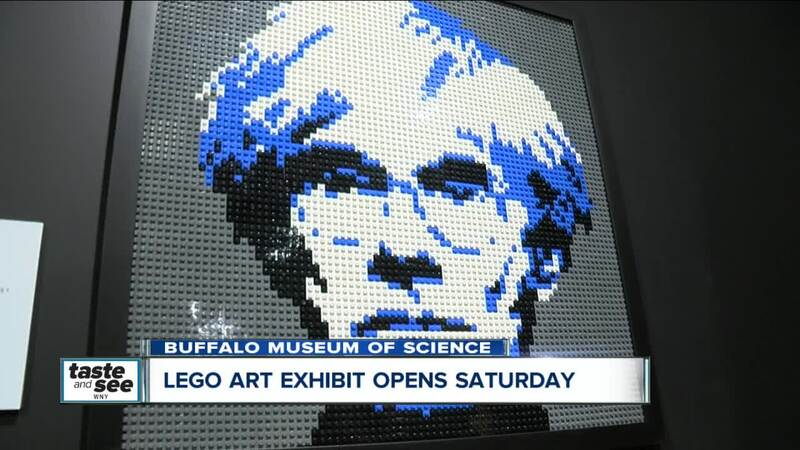 The Buffalo Museum of Science is getting ready to unveil "The Art of The Brick." BUFFALO, NY (WKBW) — Chances are you never saw an art exhibit like this. A fabulous, eye-catching and colorful presentation of sculptures and wall hangings--eighty pieces in all--all made from Legos Blocks. CEO and Director Marisa Wigglesworth says it's more than an art show. "It is art, it is engineering, it is mathematics, it is creativity, problem solving-all of the things we engage our guests in here at the Buffalo Museum of Science," Wigglesworth said. The pieces were all created by one artist - Nathan Sawaya. The largest sculpture is a T-Rex made from 80,020 individual Legos. The show opens Saturday February 9th and runs through May 5th. You can get more info on the museum website.